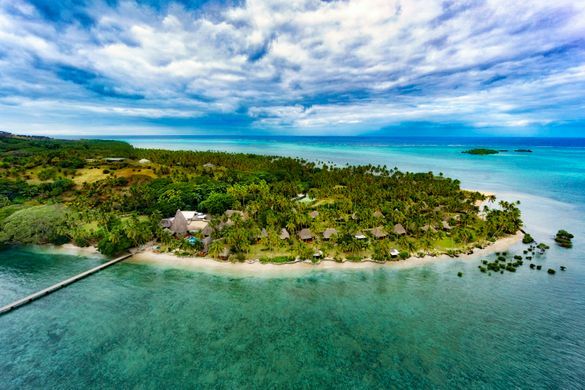 THIRDHOME, the exclusive luxury property and travel club, is offering private access to award winning oceanographic explorer, Jean-Michel Cousteau’s private Fiji Island Resort, through THIRDHOME Adventures. THIRDHOME Adventures elevates travel experiences with uniquely crafted journeys around the globe. Dive into a week-long immersive ocean experience, and discover this tropical paradise. With Fiji Island’s stunning seascapes brimming with marine-life, during this unique trip guests are encouraged to participate in guided snorkelling and diving experiences with Jean-Michel Cousteau and his expert marine biologist, as well as participate in pearl farm and giant clam snorkel-outings to the tropical waters of Savusavu Bay. Guests can also venture out with Premium Experiences to the island’s uninhabited private island; an oasis of tranquillity. After a long day exploring the island, kick-back in luxurious accommodation and fall asleep to the sound of the waves lapping at the shore. Cultural entertainment certainly won’t disappoint at the Jean-Michel Cousteau Fiji Island Resort. THIRDHOME Adventures provides a daily schedule of cultural activities, designed to enhance guest’s immersive experience and cultural awareness. These excursions include a trip to a traditional Fijian village, a waterfall swim and rainforest hike, an educational mangrove tour, a local school visit and guided local farmers’ market tours. At the end of the day, sample the freshest ocean-to-plate authentic Fijian meals prepared by Executive Chef, Raymond Lee and enjoy a display of traditional Fijian dancing ceremonies as you dine. After a full day of exploring the oceans and local culture, guests can enjoy Jean Michel Cousteau’s captivating stories from his lifetime of underwater exploration. As world-famous oceanographic explorer, environmentalist, educator, and film producer, Jean-Michel Cousteau will share the legacy of his family’s invaluable work through interactive educational lectures. These presentations will include information about his father’s invention of underwater scuba, as well as Jean-Michel Cousteau’s remarkable underwater documentaries and their quest for the establishment of sustainable, worldwide environmental policies. Perfect for an exclusive getaway with friends or family, the Jean-Michel Cousteau Fiji Island Resort offers something for everyone. Be it exploring the oceans, experiencing new cultures, sampling exotic cuisine or learning about the Cousteau family’s environmental legacy, guests will receive a holistic and well-rounded Fiji experience with the exclusive luxury guaranteed by THIRDHOME. Sign up for the Jean-Michel Cousteau Fiji island Hideaway Adventure by 1st March 2019 and save $1,000 per couple/ two adults sharing an Island Bure-Bungalow.